Women are often so obsessed with shoes that made her feel confident and beautiful than any other accessory. Platform shoes (also known as disco boots) are shoes, boots, or sandals with thick soles at least four inches in height, often made of cork, plastic, rubber, or wood. They have been worn in various cultures since ancient times for fashion or for added height. In this post you will find some stylish platform shoes designs for girls and women. The shoes with thick soles at least four inches in height, often made of cork, plastic, rubber, or wood. Hope you’ll like my this awesome collection. Give your valuable comment in comment section. 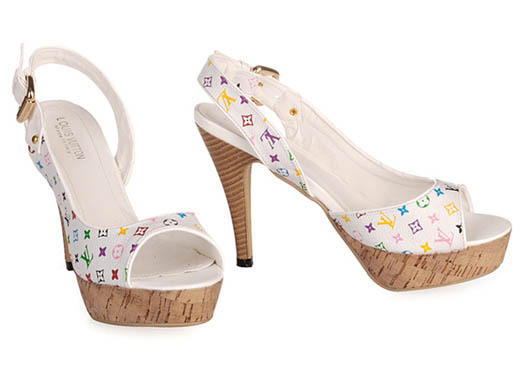 This platform shoes designs selection only for girls and women according to latest fashion trends of 2012. Feel free to share your opinion with us and let us know which one is your favorite.